Tokyo, Japan—Sony Corporation today announced that it has developed the IMX418 CMOS image sensor for sensing applications. The new sensor is equipped with a global shutter function and comes with an interface capable of multiple sensor connection on a single Mobile Industry Processor Interface (MIPI) input port,*2 a world-first*1 made possible by Sony's original data transmission technology. Because this interface enables data transmission that supports the MIPI standard, data can be received by existing application processors (AP). 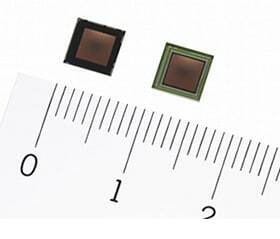 Sony expects this product to find application in a variety of products that use multiple image sensors. These include head mounted displays (HMD), drones, autonomous robots and other products that perform simultaneous localization and mapping (SLAM) and obstacle detection based on information obtained with image sensors. *1Among image sensors. According to Sony research (as of announcement on October 22, 2018). *2A port compatible with D-PHY, a MIPI Alliance specification. The MIPI Alliance offers an ecosystem of interface specifications to facilitate the interconnectivity of mobile devices. *3Based on image sensor effective pixel specification method. 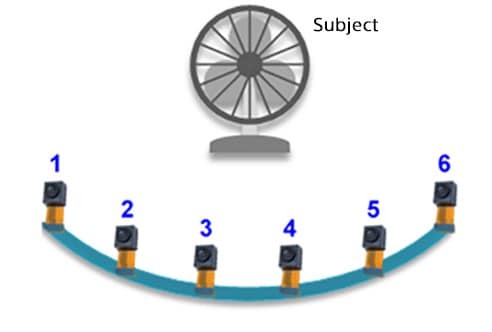 In normal situations, image sensors and the AP that processes the images captured with those image sensors are connected via MIPI, requiring a MIPI input port for each image sensor. When designing devices equipped with multiple image sensors for sensing capabilities, this makes for various constraints in terms of the design of flexible print boards, due to the need for extra wiring and MIPI input ports for the AP. Sony’s new sensor is equipped with an interface capable of connecting multiple sensors to the same wiring and transferring the image data that was simultaneously captured and recorded on multiple sensors in sequence to a single AP MIPI input port. This makes it possible not only to reduce wiring but also to connect more image sensors than the number of available MIPI input ports. The new product builds on the advantages of Sony’s CMOS image sensor equipped with a global shutter function, which has been used mainly in the industrial device market, now realized a global shutter function for mobile devices by supplying lower voltage drive and lower power consumption for use in mobile devices. This product is equipped with an interface which makes it possible to connect multiple sensors to the same wiring and transfer the image data simultaneously captured and recorded on multiple sensors to a single AP MIPI input port. This makes it possible not only to reduce the wiring but also to connect more image sensors than the number of available MIPI input ports in a device equipped with multiple image sensors. The new product builds on the advantages of Sony’s CMOS image sensor equipped with a global shutter function without focal plane distortion, which has been used mainly in the industrial device market, now realized a global shutter function for mobile devices by supplying lower voltage drive and lower power consumption for use in mobile devices.